The best part about April Fools’ Day is when the jokes are for real (see: Gmail, ThinkGeek, etc). 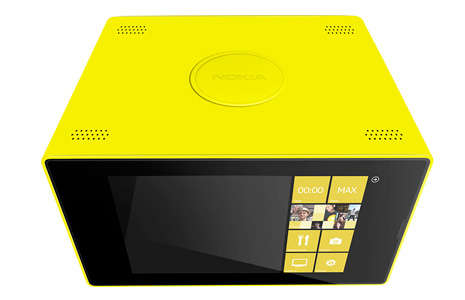 So while the Nokia 5AM-TH1N6 Constellation Microwave Oven might seem like an April Fools’ Day prank, is the concept of a “high-resolution PureFood camera that automatically shares pictures of ready meals with friends and family via social networks” really that far off that mark? Food bloggers whipping out their phones would disagree. Especially when considering how photogenic microwaveable meals can be. Available in blue cheese cyan, lemon yellow and liquorice black sometime in the future depending on how gullible we are. Happy April Fools’ Day!